The ending of Windows XP support in April 2014 combined with slow log in times led many XP users to start its Windows 7 migration. Along with this OS change, many people are concerned with the Windows 7 login password and want to know if they could unlock Windows 7 account when they forget password. 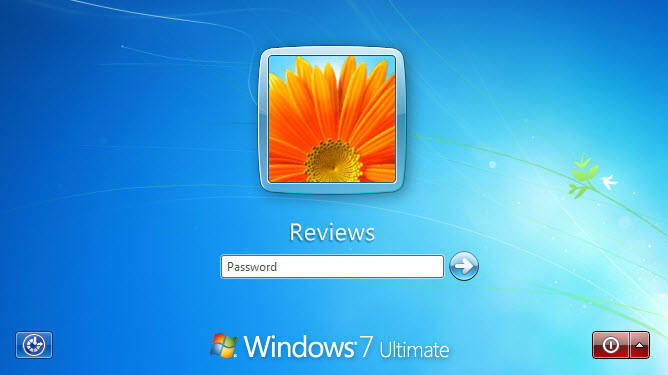 Here in this article you'll find the most useful tips on how to unlock windows 7 password (including one using third party tool called Windows 7 Password Recovery). Let's get started. Editor's Note: Though this method helps to unlock forgotten Windows 7 password, it may make you lose access to all encrypted files, stored passwords, and personal security certificates in your computer. If you have another user account with admin privileges, you can easily unlock forgotten Windows 7 password with "lusrmgr.msc" command. Below are steps needed for this method. 1. Login Windows 7 as administrator. Click "Start", type "lusrmgr.msc" in the Search Box or Run Box (or you could just press "Win+R" keys to open Run Box). After this click "OK" button. 2. When "Local Users and Groups" dialog appears, open "Users" folder. Right-click an user account and select "Set Password". 3. When a dialog pops up, type a new password twice, the password hint is optional. Next click "OK". If you forget your password, you can log on to the computer by using a new password that you create with the help of the Password Reset Wizard and your password reset disk. The reset disk is created before you lose Windows login password. 1. On the Windows 7 log-on screen, click the user name that you want to use. As Type your password box appears press ENTER or click the right-arrow button. You'll receive the error message: Did you forget your password? 2. Click use your password reset disk. The Password Reset Wizard starts. It permits you to create a new password for your user account. 3. Click Next and insert the password reset disk into drive A, and then click Next. 4. Type a new password in the Type a new password box. Then confirm this password. 5. In the Type a new password hint box, type a hint to remind you of your password if you forget the new password. Click Next→Finish, you'll return to the Windows 7 welcome screen. Editor's Note: This hint is visible to anyone trying to log on to the computer by using your user account. 6. Type the new password, and then click the right-arrow button to log on to the computer. Now your PIN Logon is set up successfully, next time when you login your PC, Windows 8 will require you to enter your PIN code by default. 1. 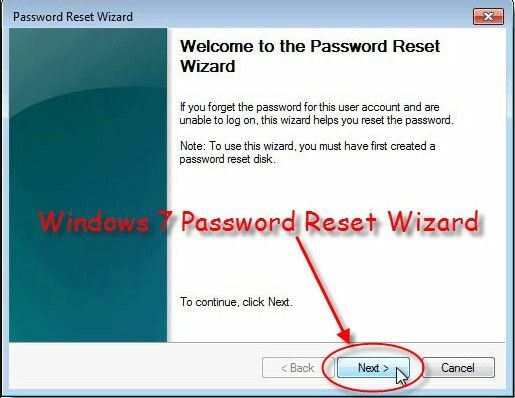 Download and install Windows 7 Password Recovery to a computer that you have free access to. 3. Change BIOS setting and make your password locked computer boot from USB or CD/DVD. Click here to see how to change BIOS settings. 4. Choose the target Windows operating system and user account that you want to decrypt and click "Next". When all these done tap "Reboot" to reboot your PC and you can then login Windows 7. 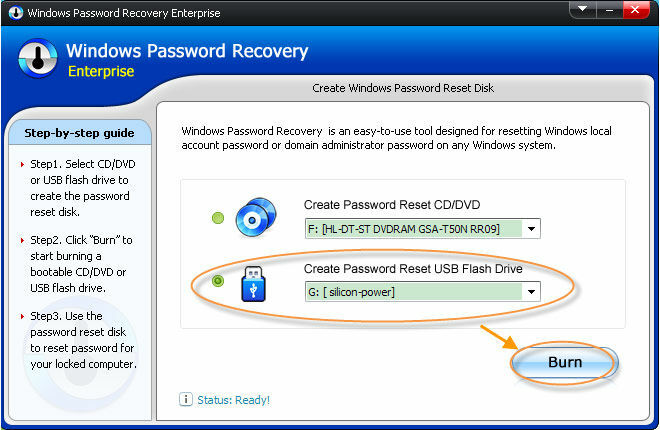 Editor's Note: This Windows 7 Password Recovery works efficiently with 3 editions to choose from. 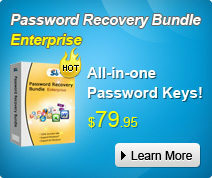 Another merit of it is that it is compatible with all versions of Windows, including Windows 8 Windows Vista password. And it's easier and more effective than the first 2 methods.